Submitted by donaldb530 on Tue, 12/15/2009 - 8:50am. This file is the result of a merger of Henry’s, Sprouts, Sun Harvest and Sunflower Markets, with all stores specializing in healthy, natural and organic farm fresh grocery and bakery items of all types. 5 new stores : 3-FL and 1 each NV and CA. 3 new or relocated: CA and TX-2. 4 scheduled for Feb/Mar: NV, WA, and FL-2. 6 new stores to open Jan 2019: CA-2, FL-2, TX and WA. Removed 2 in CA. Added 4 : NV, PA, CA and FL. 6 new stores - CA, NC, OK, WA and NV-2. 13 new stores opening or about to open. 6 new or relocated stores. 2 new stores - Mesa, AZ and Fayetteville, NC. 12 more planned. 7 new or planned stores - AZ-2, CA-2, FL, MD and NM. 6 new locations about to open: CA-4 and NV-2. 5 new stores have opened ; TN-2, CA, FL and AZ. Stores open in Arvada, CO; Camarillo, CA and Woodstock, GA. 3 planned stores in CA and NV. 5 new or re-located stores. 3 new locations - KS, CA and FL. 9 new openings in the near future - AZ, TX, CA-4, GA, NC and FL. Pinole, CA and Stillwater, OK are now open. Added or relocated 4 stores. 4 new or planned locations: CA-2, GA and AZ. 14 new or planned: GA, KS, TX, CO, CA-6, TN, OK-2, and NV. 3 new locations - CA, GA, and OK.
New Queen Creek, AZ and Allen, TX. 6 new locations -AL, AZ, CA-2, CO, & MO. 4 new locations - TX, GA, CO, and CA. 3 stores open in September - GA, NM, and TX. 2 stores opened and 3 planned for Sept.
3 new locations - CO, GA, and TN. Updated to web site. Added several new stores and several in the building phase. Updated to latest web-site info. Updated to the latest web-site info. Updated to the website and added 4 new stores. 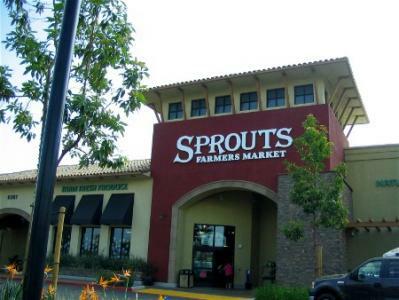 Furnished info for 40 Sunflower stores merged into Sprouts, along with 3 new Sprouts stores, including geo-codes. Thanks, Don! Renamed file and added locations as result of merger.